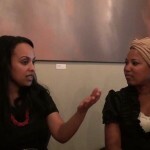 Pure Me’s Bernadette Meulens in a heart-to-heart talk with Rahel Woldemichael (human rights advocate,writer, lawyer etc.). In this first instalment Rahel talks about her early days in Germany, about Africa and Eritrea. She also talks a bit about her work with refugees and being a lawyer. This is an Africa Web TV and Pure Me joint production.